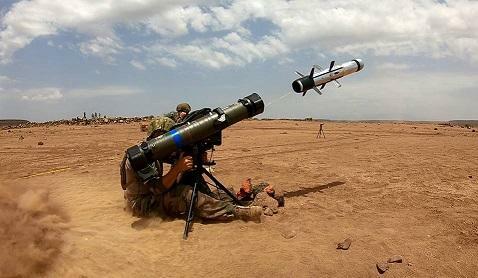 From August 25 to September 22, 2018 in Djibouti, the French Army Technical Service (STAT), the French DGA (Direction Générale de l’Armement), with the support of MBDA, achieved the evaluation campaign of the MMP 5th Generation Land Combat Missile System. The objective of this operational evaluation was to check the suitability of the MMP Weapon System for use in semi-desert conditions. For this purpose, nine firings were achieved with all the missiles reaching their target. The results confirm the reliability of the Weapon System in hot environment as well as its performance in operational firing scenarios. Two firings have been performed by Navy Commandos from the Rigid-Hulled Inflatable Boat ECUME (Embarcation Commando à Usage Multiple Embarquable - embarked Multi-Purpose Commando Boat): a first firing from the sea on a land target and the second one from the sea on a sea target. MMP is the first Weapon System of this class of performance whose implementation on ECUME has been made possible. In Djibouti, French Forces have a training environment with climatic conditions similar to those encountered in the current zones of engagement in the Sahel-Saharan belt. The results achieved during this campaign in hot conditions fully allow the deployment of the MMP Weapon System as part of Operation Barkhane.